SPACE: Thoughts, Ideas, Hacks on Learning Space Design by Rebecca Louise Hare and Robert Dillon supports the conversation around this necessary revolution happening in education concerning reshaping school spaces to better support learning. 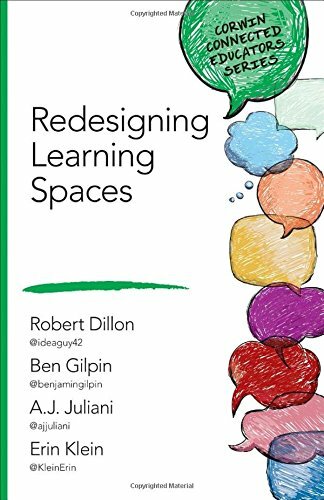 This book goes well beyond the noise on learning space design that focuses on pretty Pinterest classrooms and moves towards a more sophisticated conversation about how learning spaces support and drive brain-friendly learning. SPACE is a beautifully designed book that respects that reading and learning can happen in a visually appealing way. Hare and Dillon walk educators through a series of questions and ideas on how learning spaces can support collaboration, creation, showcasing learning, and a learner’s need for quiet. In addition to nudging thinking forward, SPACE provides practical design tips and uses images and testimonials for hacking learning spaces on a realistic budget. Bring hope, joy, and positive energy back into the daily work of the classroom. In this book, learn to design brain-friendly learning environments that foster engagement, productivity, and achievement while allowing for seamless integration of educational technology. Discover how flexible, welcoming, and comfortable learning spaces can prepare students for the future. Help your students find and keep the joy in learning! 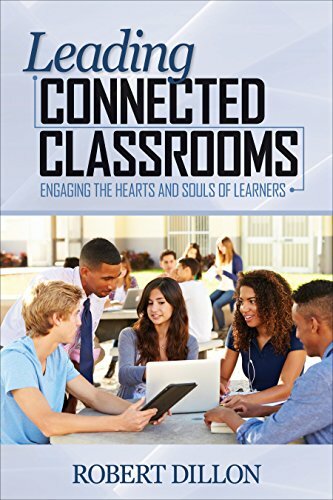 "This book combines the voices of seasoned connected educators with great suggestions for growth for those new to building connected classrooms as well as those educators who have been connected for years. Most importantly, the book paints hope for how we can build the connections in classrooms that all kids deserve." "Dillon provides useful tips and resources for transforming your classes into communities in which students help each other succeed. This book is full of examples of teachers using technology to support collaboration and motivate students. Integrating technology is a tough journey, but teachers who implement the tips in this book will see how taking that journey transforms their practice and helps them make meaningful connections with their students." Being a connected educator is a requirement today for relevant teaching. However, often, many do not know what effects being connected has on learning. What Bob lays out in this book are the stories and methods every educator needs to know to ensure they are providing the best possible learning for students. The ideas are practical and can work in classrooms that are rich with technology or even those without. A must-add to any professional library." In an era of high stakes accountability, testing, and standardization in education, Dr. Robert Dillon attempts to bring the student back into the center of the learning. 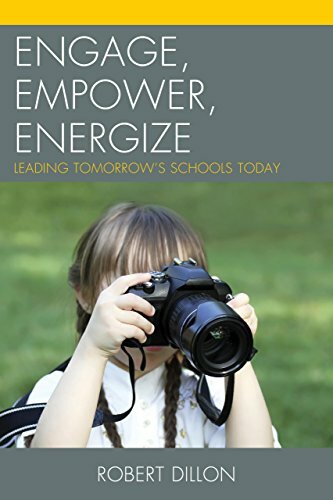 This book is ideal for school leaders and teacher leaders that are searching for a new way to inject fresh energy and ideas into their learning spaces. By placing student engagement and the joy of learning into the center of the conversation, Dr. Dillon is able to showcase how providing students with choice, voice, and authentic audience can allow deeper learning to occur. Throughout the book, readers have the opportunity to journey with a principal as he regains his footing as a leader and begins to moving away from the inertia to just manage his school. In parallel, readers will be presented with ten proven strategies for bringing the quality of learning to their learning spaces that students, teachers, parents, and a community can truly celebrate. Dr. Dillon weaves this story into a vision of what is possible for schools when courage, leadership, and desire to maximize the potential of all students is paramount.